Unique wall payment terminal "Spider" not only in its modern design, far in advance of such wall solutions, but also as to every detail, accurate thoughtfulness of interior space. Thinnest Spider will receive payments where there is no place fit underfloor solution. At the same time, you can purchase a foot-stand to make the terminal floor. The terminal is equipped with the most reliable and productive set of equipment: acceptor CashCode, printer Custom VKP-80. 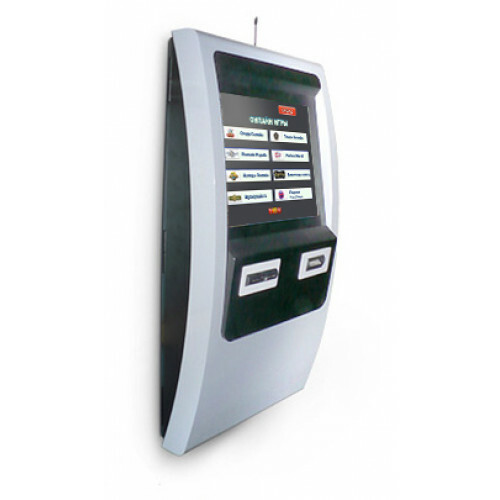 Despite its compact size, the terminal can be equipped with Spider coin acceptor NRI G13. A lot of options allow to build a terminal for their needs and to solve individual problems.